If you ever have the opportunity to interview Tilda Swinton, I highly recommend you take it. The Oscar-winning star of Michael Clayton, The Chronicles of Narnia, Only Lovers Left Alive and now Marvel’s Doctor Strange is renowned for her effervescent and thoughtful personality, and around here at least, for making awesome “fungi” puns. 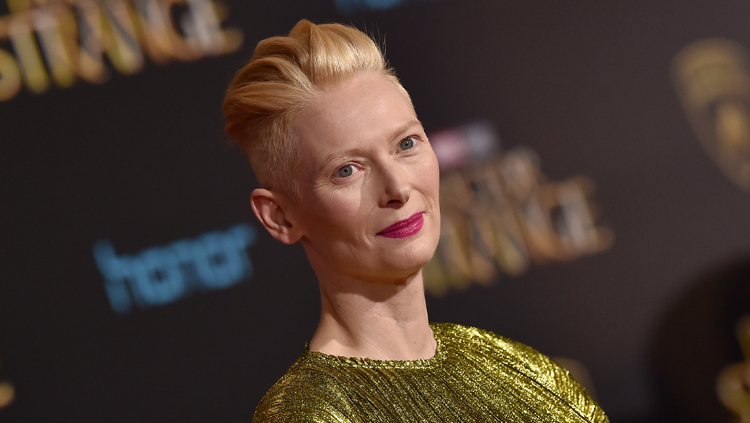 And so we do, we sit down, and I immediately began gushing about Tilda Swinton’s upcoming remake of Auntie Mame, directed by her longtime collaborator Luca Guadagnino, with whom she made The Bigger Splash and I Am Love, and with whom she is also remaking – or, as she puts it, doing a “cover” of – the classic Dario Argento horror nightmare Suspiria. We talked about that too. 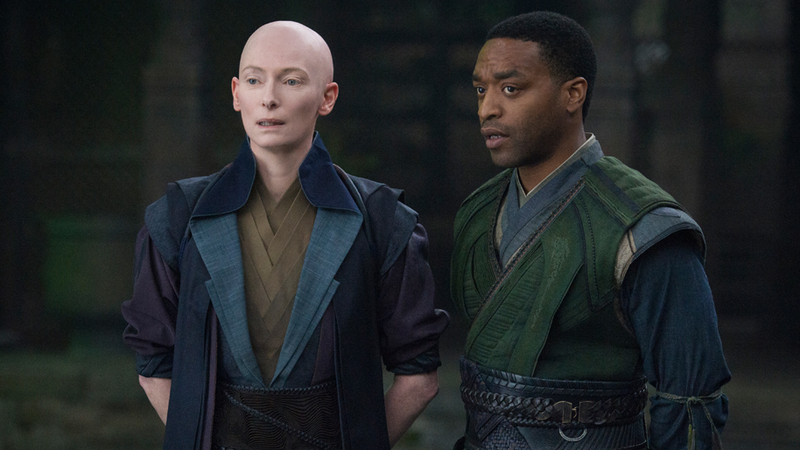 And of course we talked about Doctor Strange, the ambitious, trippy and impressively mature new superhero film in which Tilda Swinton plays The Ancient One, a bringer of enlightenment who has many secrets to reveal, about the universe and herself. It’s a role that comes with some controversy, and we’ll learn her thoughts about that controversy too. 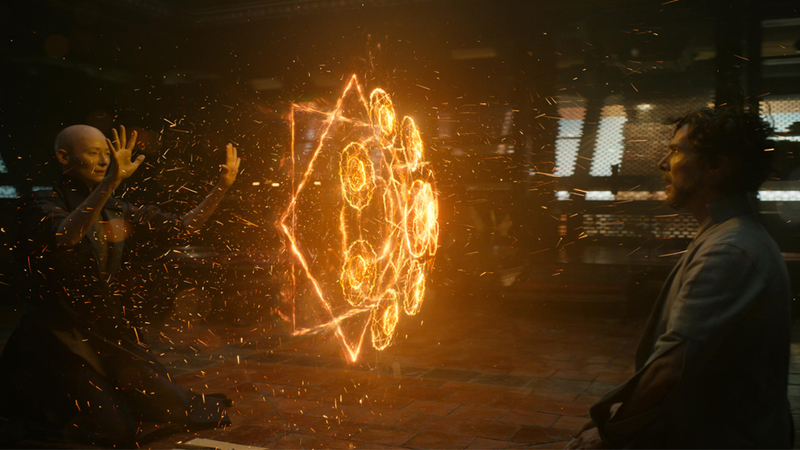 Doctor Strange arrives in theaters this week. But this interview with Tilda Swinton can be read right now. Crave: I know I’m supposed to be here to talk about Doctor Strange but all I want to talk about is Auntie Mame. Because holy cow, that’s amazing. You get to be Auntie Mame! Is that not a sure thing yet? Are we still working on it? It’s not shot yet. As you know until something’s shot it’s always hope, hope, hope, dream, dream, dream. It’s something we’ve been thinking about for a few years now so I’m pretty confident we’ll do it. It’s just a question of when. I hope it’s really soon. It’s interesting to me that you want to do a contemporary version of it. Do you feel like the recent collapse creates a good parallel [with the Great Depression]? It’s a really interesting one. That book, I don’t know if you’ve read… Have you ever read the book itself…? Yes, I’ve read the book. Yeah, because not everybody has of course. The book is so radical and so much about a kind of proper, liberal spirit, and it feels like it’s time to remind people of what that is. So yeah, I feel we’re on the train with it. I’m really excited. And you’re not going to do the musical? Never say never. There are no plans. There are no plans to break into song. We’ll talk together when it happens. Life is a banquet, damn it. Thrilled. I’m very excited about it. Was doing something like Doctor Strange equally thrilling? Yeah! You bet! I mean, it’s different because Auntie Mame is something that’s like a baby for me, where Luca [Guadagnino] and I have been talking about it for years, and now we’re talking with Annie Mumolo about it, so it’s becoming a baby that we’re bringing up together. Whereas Doctor Strange kind of broke into my consciousness one day and invited me to join the circus. It wasn’t something I was cooking up myself, obviously. So I was really thrilled that… it never occurred to me that they would have a place for me in that universe, but they found something. What was it about the part that attracted you, particular, as opposed to just the universe? I mean, Scott [Derrickson] talked such a fascinating film, and I believe he’s really delivered what he talked up, which is it’s a new kind of… well, it’s a multiverse. 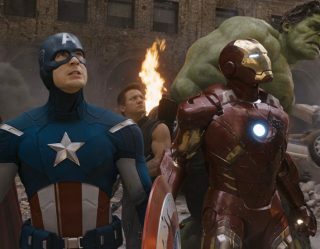 It’s sort stretching the universe into a multiverse for Marvel, and there was something about the superpowers being teachable, and teachable to humans, and The Ancient One being the teacher of palpable, important truths which resonate. It’s not just, “Here is a bit of spider venom and it will do this to you,” or “Here is a particular magical potion that will do this to you.” These are skills that we can actually [learn] ourselves and use in our own lives, and I thought that was really rad. It is, but what I kind of liked about it was the idea that we’ve had so many superhero stories that were about an individual, and we have a superhero story that is about ideas, and the idea that Doctor Strange is not inherently all that special. I kind of admire that. I agree, I think that’s very grown up. I mean, for a start he is a grown up, who has grown up problems and is up against grown up obstacles, and going about his response to those obstacles in a pretty run of the mill, human way. I mean, he makes the very human mistake of going into a kind of dark place when he faces these obstacles. 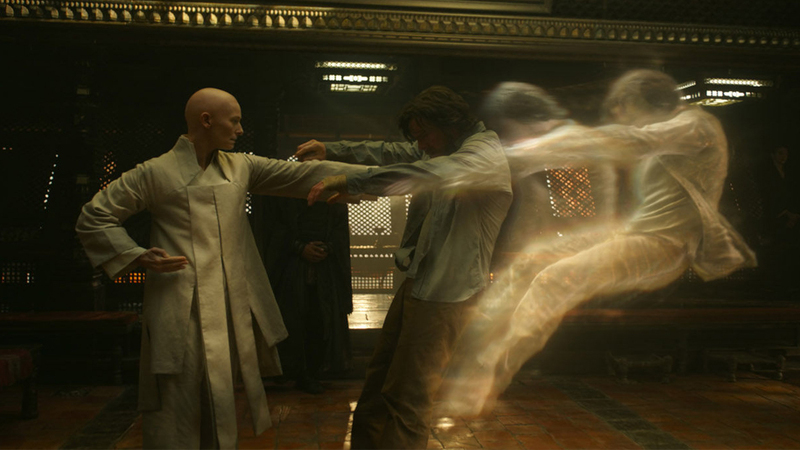 There is something “change of life” about what he goes through with The Ancient One. She tickles him into seeing there is another [way]. You can actually control your response to things, and you can decide to operate your mind powerfully. So he makes an adult choice. That’s new. That’s a completely new thing in the Marvel Universe. In a way I think Marvel’s superheroes tend to feel they’re sort of at the mercy of their superpowers, whereas in this instance these superpowers are learned at a great price. They’re really acquired, and I don’t know, I think that’s really resonant. It’s sophisticated. Yes, and for the reasons that, as she says very explicitly, “The simplest and most significant lesson of all is that not about you.” So to say to a superhero “it’s not about you, actually,” that’s really inverted the paradigm. I admire that. I thought it was very mature. Did it surprise you that there was a backlash about the casting? The interesting thing about the backlash to the casting is that it didn’t actually come with the casting, or indeed with the first trailer. 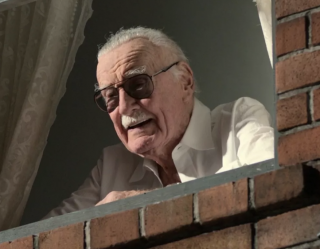 I mean, my understanding is that the response to my casting… which remember, people still haven’t seen the film and certainly hadn’t read the script, and don’t yet know why it was that Scott Derrickson asked me, or why it was that he rewrote the character from the original comic strips. All people had to go on was the comic strips. And even then, when the announcement was made of my casting, apparently people were generally supportive and at the same time, when the first trailer came out and they could see who I was and how I was playing it, it wasn’t a problem. As I understand it there was this further outcry about, I think Ghost in the Shell, and maybe another film, that there was a feeling of appropriation, and we got caught in that crossfire, by which I was not… I mean if you think about it, it’s not surprising. But then it’s based on a misunderstanding, which is that I was asked to play an Asian man, which I wasn’t. The part was rewritten for very sound reasons, which Scott Derrickson can explain to you, about not wanting to perpetuate rather offensive racial stereotypes as had been written in the original. It’s a tricky position, because on one hand you’re called out for a stereotype and on the other hand you’re called out for taking a role out of [the hands of an Asian actor]. The truth is, both are true in the sense that there are not enough representations of the diverse universe in which we live, in mainstream Hollywood cinema. That is a huge truth and it’s incredibly important that people speak very loudly about it, because until people speak loudly about it, it won’t change. So that is a truth that is told clearly and by the way I am completely in support of. 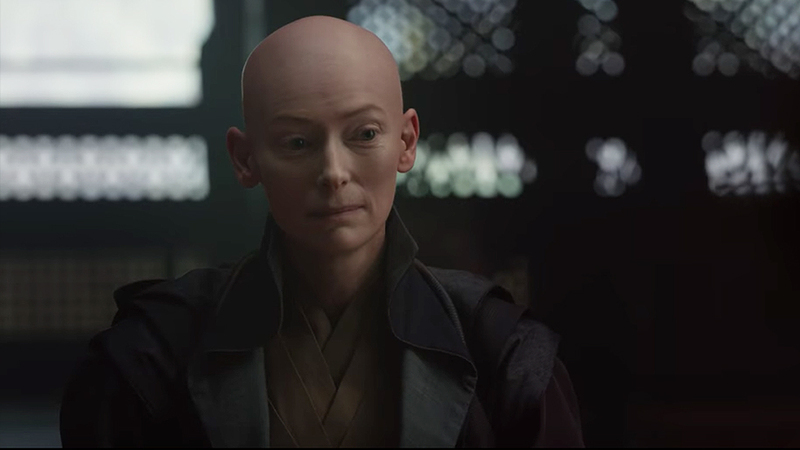 At the same time there’s Doctor Strange and Doctor Strange’s project, and the decisions that were made by the director and the studio to re-frame this character, The Ancient One, which was made for very diverse reasons. Not only to stop perpetuating two rather offensive racial stereotypes of Asian characters – one, the character that I play, and the character that Benedict Wong plays, who is a very servile character in the comic strips, is given a much more prominent and powerful position in this film – but nobody seemed to notice, or very few people seemed to notice, that actually they were casting a Sorcerer Supreme as a woman, and for that matter as a woman about the age of 21 and not wearing a bikini. You know, but all of these things are true. It’s true. It’s not a competition and I, personally, am all for people speaking loudly for more diverse representation. It’s what I’ve spent my entire career working within, a more diverse universe, but we’ve done our thing for reasons that we felt were sound and we still feel are sound, and I really hope that when people see the film they’ll understand. One of the things I’m looking forward to from you is the remake of Suspiria, which is another female-driven story originally, and the new cast looks fantastic. In your eyes, what is the significance of remaking Suspiria now? You know, “remaking” is not really the kind of lingo we go for. We are inspired by the same root but we’re not really… we’re doing a cover, we’re not remaking really. In fact there are significant differences in our screenplay already. So it’s just, we’re covering with different instruments I would say. Okay, so what sort of differences? Is this as dramatic as, like…? Like, one that was really excellent, like Tori Amos’s cover of that Eminem song [“97 Bonnie and Clyde”] where she turned it into something more plaintive. Yeah, or even you know, did you hear for example Michael Stipe’s “Man Who Sold The World?” You know, it’s that rare thing where you hear something fresh again. We recently did it, Luca Guadagnino and I, we recently did it with a cover of a film called La Piscine, which is very beloved in France, which made a film inspired by that called A Bigger Splash. Which is really different but is absolutely based on La Piscine, and we had the same thing. People were nervous about a remake of La Piscine and now people go, “Oh, it’s a completely different film!” We said, “We never said we were going to make the same film.” There are remakes and then there are these covers and we’re kind of more in the cover business. What is it about Luca Guadagnino that keeps you coming back? He’s my pal. He’s my friend. 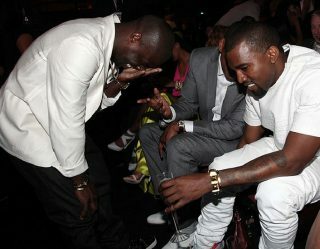 But I don’t make friends with all my pals. He is a great filmmaker and he’s someone who I have a kind of filmmaking relationship with, which means we continually kind of dare each other into new adventures. And so Suspiria is next and Auntie Mame is down the line, and on it goes.